This piece of work was inspired by the recent discovery of the skeletal remains of King Richard III under a car park in Leicester, England. The remains were identified by use of both DNA testing and by the fact that the spine of the skeleton was deformed in the way expected of the King. The question was asked ‘what physical characteristic might make it easy to identify the skeleton of another historical character?’, in this case the Centaur from Greek mythology. 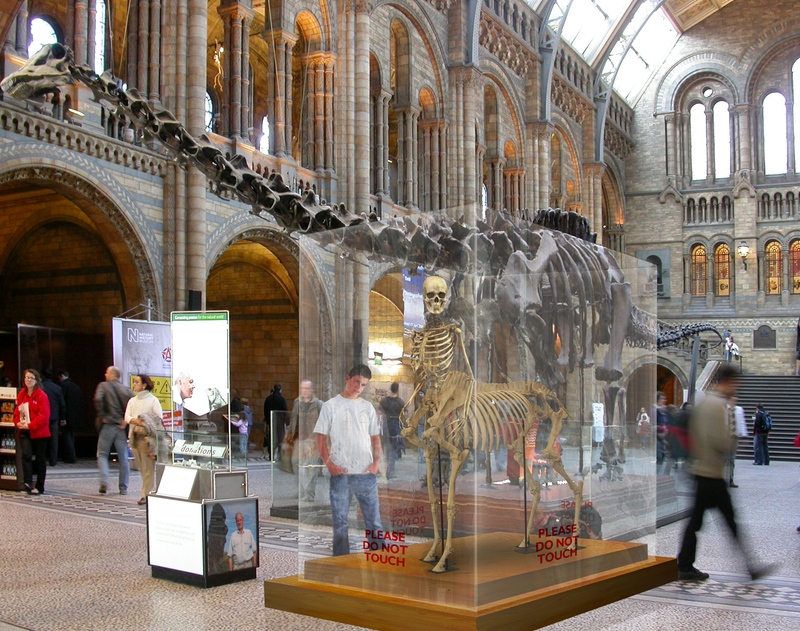 The obvious place to view such an exhibit is, of course, in the entrance hall of The Natural History Museum in London next to the fossilised remains of their Diplodocus.